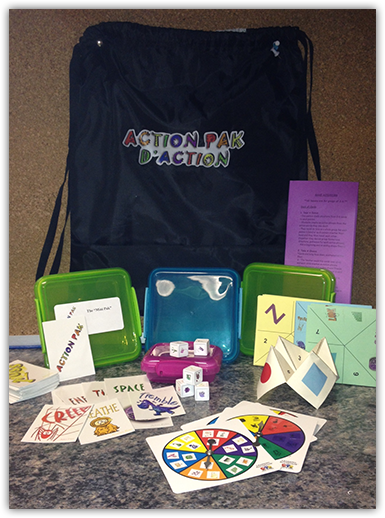 Each "Action Back Pak" comes with a lesson guide to stimulate ideas. Each center comes in individual containers. This one-stop "Pak" is perfect for supply teachers and generalist teachers needing creative ideas for various curriculum challenges. It's the perfect, portable program.